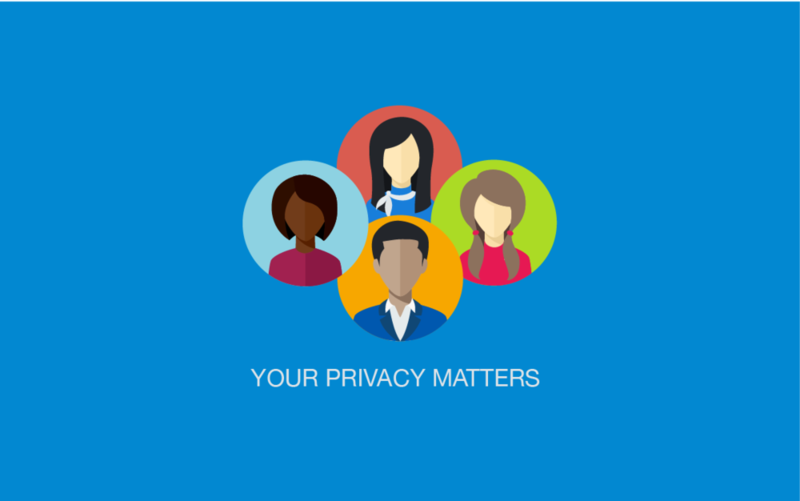 The goal of this project was to educate end users about how their data and devices are protected by AirWatch, address their privacy concerns and increase transparency. This project was undertaken because there were growing concerns about whether AirWatch and other MDM solutions are like Big Brother, which were affecting end user adoption. 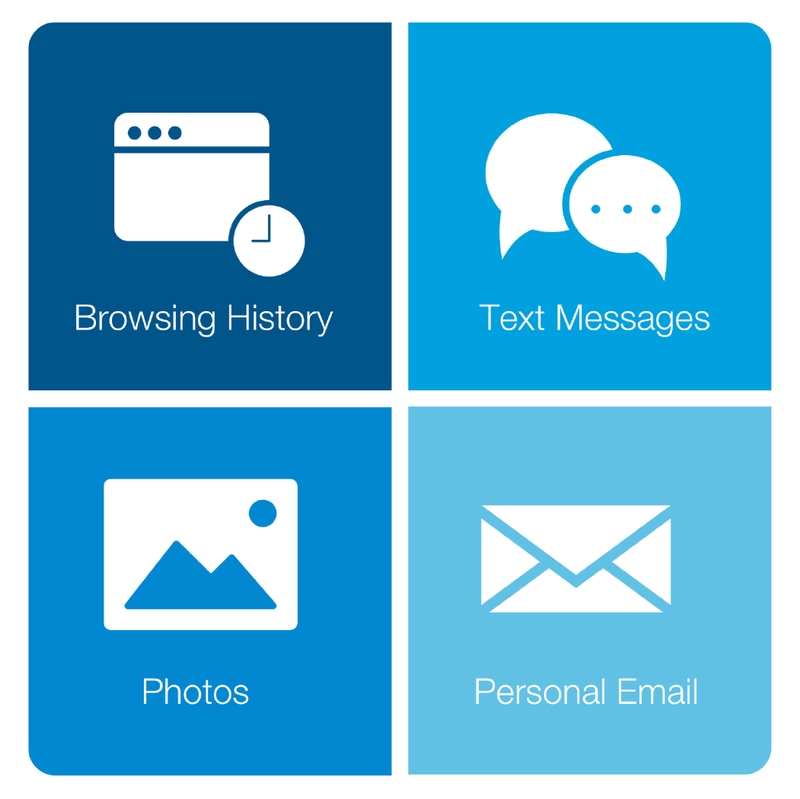 VMware AirWatch is an Mobile Device Management (MDM) solution. It can be installed on corporate and personal devices to access company resources such as email, documents and productivity apps. 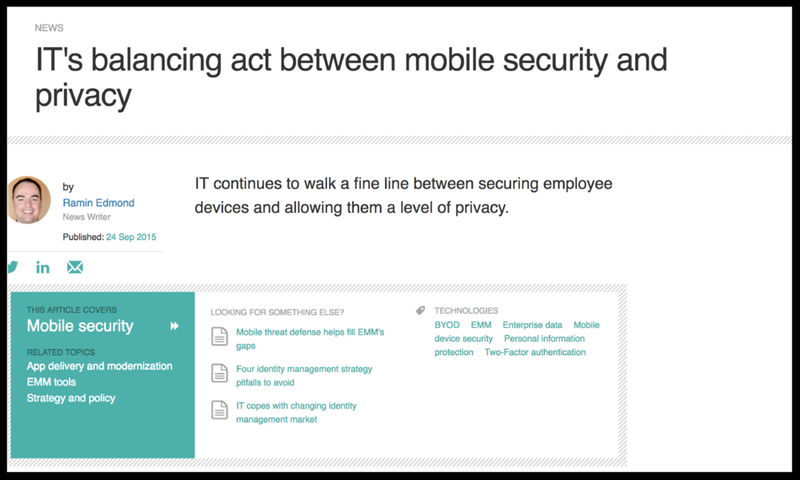 When companies tell their employees to install AirWatch on their phones to access company email, it also means that their devices will be managed. This was causing concern amongst employees (our end users) and raising questions. 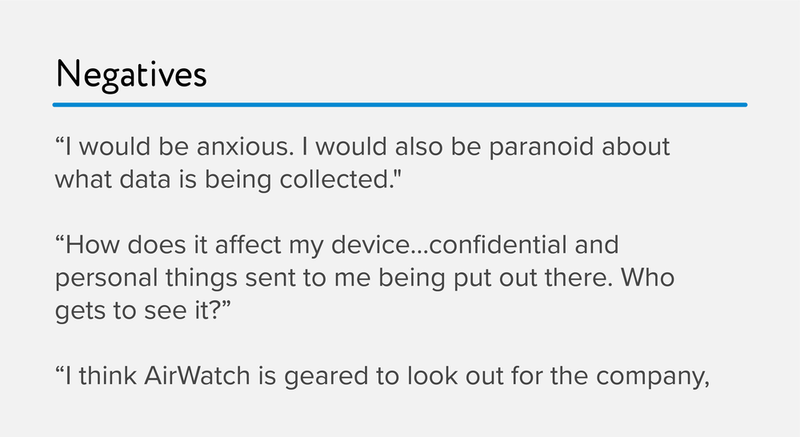 Understandably, employees were nervous about downloading AirWatch on their devices due to fear of being watched by their employers. Our user experience (UX) team set out to address the issue of how end users perceive tools like AirWatch being installed on their devices, particularly personal devices for BYOD use cases. We started by asking how people felt about installing AirWatch on their phone. Based on the feedback from users, the goals of the project became clearer. This effort coincided with VMware's Privacy First initiative. The goals of these efforts were to improve how privacy policies are structured and to provide accurate information to end users at every step of the way. What AirWatch could do with the device (such as sending notifications and resetting passwords). Next, I conducted design reviews with AirWatch employees and found that it was better to chunk information together. What AirWatch collects depends on a company’s policies and administrator, so some companies may collect information such as GPS but others may not. If a company does not collect this information, it was better not to show it at all. I also found that most users are only interested in the “Big Four”. This was a name we gave to four pieces of data which were most important to end users: Browsing History, Text Messages, Photos and Personal Email. It was very important to inform users that AirWatch could not monitor any of these. Next, I worked with the visual designer on this project to create some high-fidelity prototypes. During this phase we worked on the visual language to keep the tone and feel as friendly, open and approachable as possible. 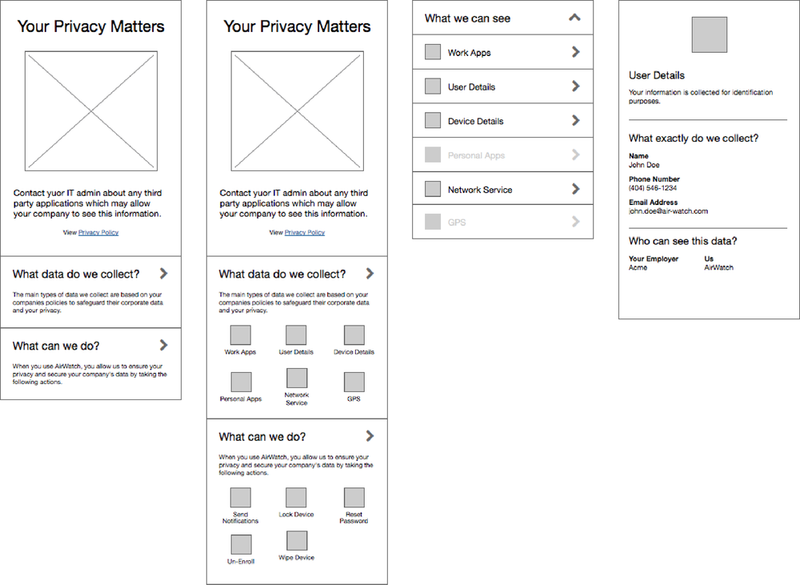 Once we completed our prototype, I conducted some A/B tests with AirWatch employees to evaluate two variations. The major finding from this test was that notifying users that AirWatch does not collect the Big Four was imperative. Although we explicitly showed users what data is collected, doubts about whether pictures or personal messages are collected were not assuaged. We decided to go with version B where we also included a “What we cannot see” section since that told users explicitly what is seen and also what isn't. I went out in the field to conduct tests with people in cafes with the aim of determining when users would like to see this information in the overall enrollment process. Participants went through the entire process with me, from being informed that they need to install AirWatch on their phones through an email from their company to installing the AirWatch agent. I noted their questions and concerns at each stage, and found that concerns usually arose right at the beginning of the process. This was also one of the first projects where our design team conducted in-depth user research along with multiple usability tests, which influenced the design process every step of the way. It also helped our leadership see the value in allowing the design team with access to our end users to deliver better quality products.